The information published on the McQuillan Boiler Services website is provided as a service to users, to be used for informational purposes only. 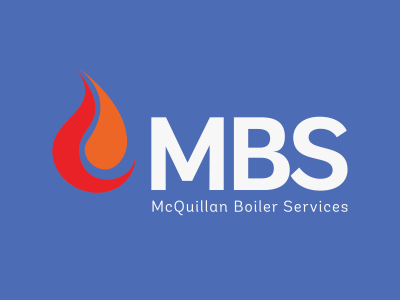 The McQuillan Boiler Services website is an internet service published by McQuillan Boiler Services using the site the user automatically accepts our Terms and Conditions. We may change and republish the Terms and Conditions from time to time. It is up to the user to regularly review these Terms and Conditions and note any changes. Continued use of the site after a change has been made indicates the user’s acceptance of those changes. Any material found within the McQuillan Boiler Services web site, including text or images may not be copied, reproduced, republished, downloaded, posted, broadcast or transmitted without the express permission of McQuillan Boiler Services, whereupon, if approved, the appropriate licence may be granted. We may publish links to external independent websites, however, McQuillan Boiler Services cannot be held responsible for the content of those web sites. By linking to other websites does not indicate that McQuillan Boiler Services agrees with any claims, statements or opinions published by those sites. McQuillan Boiler Services shall not be responsible for an external site loading within the frameset of the McQuillan Boiler Services website - if users encounter this they should contact the McQuillan Boiler Services webmaster immediately with as much information as possible, including the pages they were viewing immediately prior to the event. In no event will McQuillan Boiler Services be liable for any damages including, without limitation, indirect or consequential damages, or any damages whatsoever arising from use or loss of use, data, or profits, whether in action of contract, negligence or other tortuous action, arising out of or in connection with the use of the site. McQuillan Boiler Services does not warrant that the functions contained in the material contained in this site will be uninterrupted or error free, that defects will be corrected, or that this site or the server that makes it available are free of viruses or bugs or represents the full functionality, accuracy, reliability of the materials. The names, images and logos identifying McQuillan Boiler Services, or third parties and their products and services are proprietary marks of McQuillan Boiler Services and/or third parties. Nothing contained herein shall be construed as conferring by implication or otherwise any licence or right under any trademark or patent of McQuillan Boiler Services or any other third party. Copyright 2018 McQuillan Boiler Services.